One of the most time consuming elements of owning a backyard swimming pool, whether it is an above ground pool or an in ground pool, is maintaining the water quality and making sure it is properly sanitized. This process requires time, precision, and consistency. 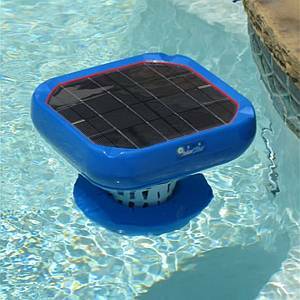 But, you can make the task of pool sanitizing much easier if you take advantage of one of our Automatic Chlorinators or Salt Water Generators. 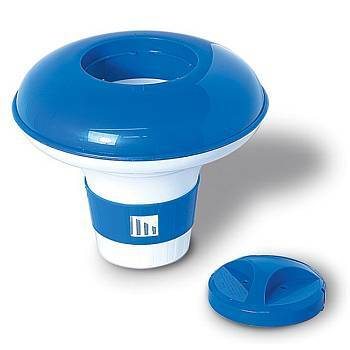 An Automatic Chlorinator, also known as an Automatic Chlorine Feeder, will save you time because it automatically delivers a precise amount of chlorine to your pool water. Our sturdy, corrosion-proof Automatic Chlorinators and Brominators, as well as the Pool Frog Automatic Chlorinator, are cost effective and maintenance-free. 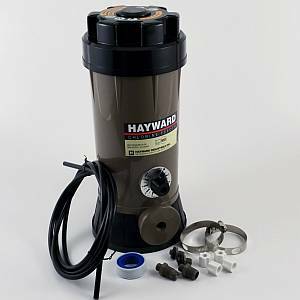 Use an Automatic Chlorinator in your new or existing pool or spa -- they work automatically with your filter system and pump. Our Chlorinators use small or large slow-dissolve sticks or tablets and provide a handy dial control valve that allows you to regulate the rate of feed. Alternatively, you may choose a Salt Chlorine Generator to help keep your swimming pool clean and free of algae. 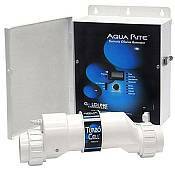 Salt Chlorine Generators, also known as Salt Water Chlorinators, automatically transform small amounts of any standard non-iodized table salt or water softener grade of salt into chlorine. One teaspoon of salt per gallon of pool water is all that is needed. The salt is used again and again by the system to produce the chlorine that purifies your water, and the salt leaves the pool silky smooth and crystal clear. Salt Chlorine Generators are completely automatic and are ideal for plaster, vinyl, or fiberglass swimming pools up to 40,000 gallons. Pumps chlorine directly into your pool instead of running through your pump and filter first. 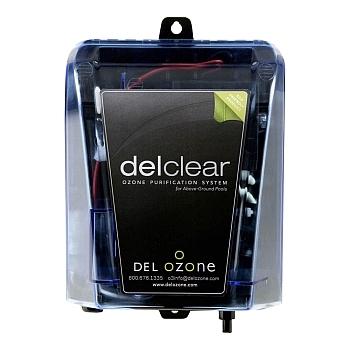 This recudes chlorine corrosion and prolongs the life of your pump and filter. 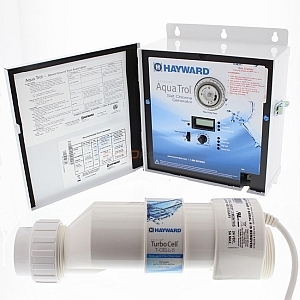 You can add a lot of chlorine at once and adjust the rate of chlorine dispensed with just a dial. You can go on vacation without worrying about returning to a green algea pond.